If you have founded, led, or worked in a nonprofit, NGO, or social enterprise, you well know the need to make the most of constrained resources. The problems you fight to address are big and complicated, with many lives in the balance. And so you create unique solutions, work long hours, find a way to do more with less. But all too often, social impact organizations fail to clearly define their positioning. A process that, when nailed, can optimize and amplify everything you do. We suspect this lack of attention paid to positioning is largely a result of the market conditions within which most social impact organizations work: one where the beneficiary need is great, demand is high, and the biggest problem faced is how to develop enough supply to meet demand. Contrast this with the private sector, which heavily invests in positioning strategies as companies battle for wallet share while selling sneakers, gutter cleaning, or tax preparation. Further, social impact organizations aren’t rewarded (or funded!) to invest in this capacity building work – whether it’s done internally or in partnership with outside strategists and consultants. 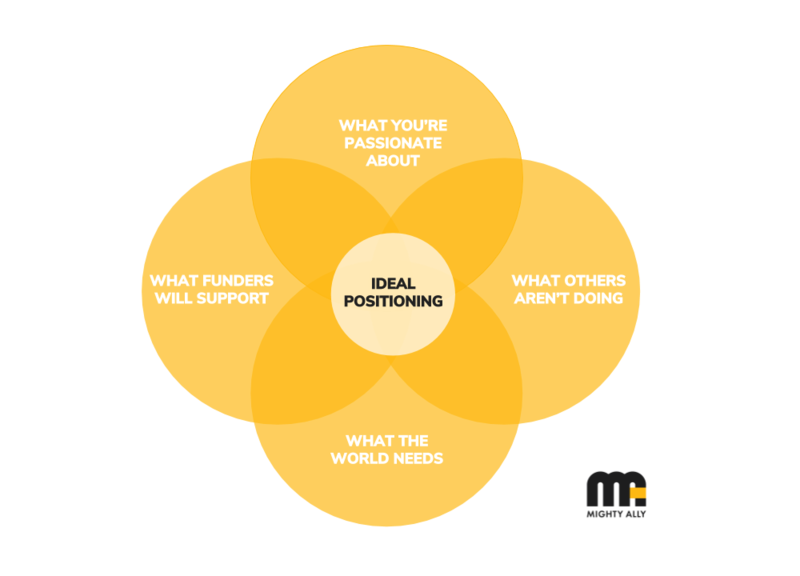 Positioning is a critical factor in long-term sustainability, yet rare to see funders and donors appreciate it as deserving of funding allocation. Despite these challenges, the rules of economics, market competition, and psychology hold true no matter where you fall in the tax code. And just because you’re a mission-driven organization doesn’t mean there aren’t others competing for time, attention, and resources. Make your voice more clearly heard among the clamor asking for funding and donations, support and visibility. Align your organization around your unique market position, and better prioritize what’s most important. Identify points of sector collaboration and partnership. All in the name of increasing your organization’s impact. Because that’s why we’re doing this in the first place. We’ll be perfectly clear: positioning strategy should be owned and led by the executives of every organization. It’s not just an exercise reserved for your marketing or communications staff. It belongs top of mind and tip of tongue for your entire organization – not buried inside a hefty marketing plan. What is positioning for social impact? Positioning is the deliberate process by which your organization identifies its strengths, assesses gaps in the competitive landscape, and chooses the way it will present itself to its audiences and enter the marketplace. A note: social impact organizations must generally consider positioning within two marketplaces. The first being the beneficiary population it aims to serve, and the second being the sphere that encompasses funders, donors, peer groups, and thought leaders. While the principles and strategies we outline here can be deployed on both fronts – we’ve written this article with the second audience in mind. Positioning is a means by which a company can target audiences efficiently and maximize price charged. Sure, it is possible to get by on poor or undifferentiated positioning – plenty of companies do. But, you risk the commoditization of your product and you sacrifice the ability to demand a premium price. An early foray into positioning strategy for me came during a visit to Chiang Mai, Thailand back in 2005. I biked around the city and turned onto a street with dozens of lychee vendors. Stall after stall after stall of fruitsellers with identical stacks of fruit – shoulder to shoulder with their competitor next door. I wondered why there wasn’t at least physical proximity differentiation. Which might, at the very least, open up variants in pricing. I acknowledge that my outsider’s view likely failed to see differences in vendor, fruit, customer service, or other aspects of the lychee trade. But then again, perhaps that was exactly the point. How many organizations stand side-by-side with other nearly identical peers? How many exist to serve the same purpose or to address a common societal issue? As your own best salesperson, you may clearly grasp the nuances, quality, and freshness of your ideas and programs. But the vast audience passing by can’t readily identify a real difference, one from the other. Just like in the private sector, social sector positioning is a tool to maximize impact while being good stewards of all available resources. But of course, your “customers” are also donors, funders, volunteers, and supporters. And as an impact organization, we have to add a dimension to the 3Cs analysis. At the risk of adding an overly philosophical dimension to this conversation, it might be helpful to brush up on the notion of ikigai as you think about your positioning. Ikigai is a Japanese concept meaning “reason for being”, and it suggests that true purpose is found at the intersection of your talent, what the world needs, what you love, and how you can support yourself materially. There’s a level of quantitative analysis and rigor demanded by positioning – but it’s perhaps equally important to tap into your organization’s values, passions, and true expertise. Funders and donors aren’t customers, but that doesn’t mean they don’t want value in exchange for their investment. Which means, the onus is on a social impact organization to stand out from the crowd and make a strong case for why money should be given here, instead of there. Philanthropic giving isn’t a zero-sum game. But, your organization’s ability to garner additional donors, increase donation amounts, or win grants from foundations requires a clearly articulated – and differentiated – value proposition. To address the global learning crisis, there has been a focus of late on students as well as teacher training and incentive programs. But STIR Education found a different market niche: "supporting governments to ignite and sustain teacher intrinsic motivation (TIM)". TIM is locked down in everything they do and say, and is a strong differentiator to those donors who evaluate them alongside dozens (if not hundreds!) of other education-focused NGOs. As their illustrious list of funders suggests – STIR has successfully attracted those who believe in this differentiated mission. Positioning requires you to externally highlight those parts of your organization that are both unique and important. And the ability to tell a clear and compelling story to others requires razor-sharp internal clarity. While positioning isn’t inherently an organizational performance exercise, if you spend the time to identify the unique value you provide – it’s a natural next step to orient teams and internal processes towards it. 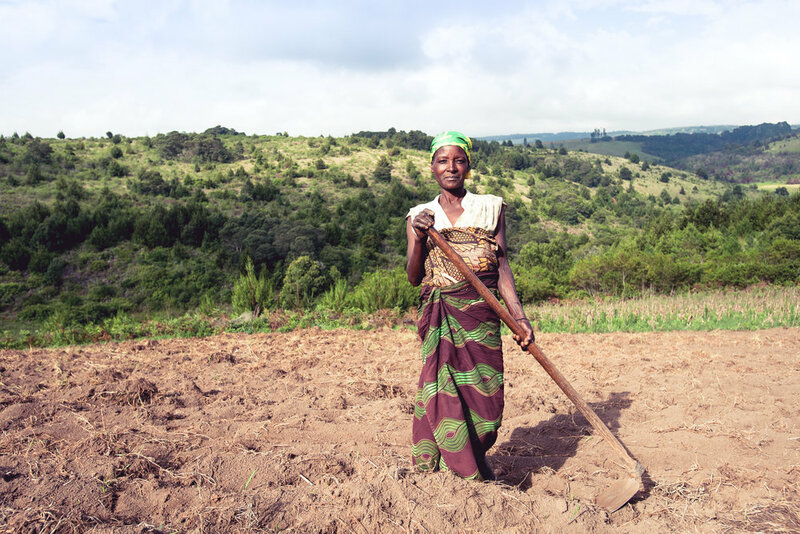 One Acre Fund has focused on smallholder farming since 2006. They were somewhat early to the Green Revolution trend in Africa and they found one great beneficiary need in an industry that's worth billions. Embodied in their name, their focus has remained largely unchanged over time: financing for inputs, delivery, training, and distribution. This clarity and focus speaks to positioning that has been consistent to the outside world. But also, it has given their internal team a tool to establish priorities, rhythms, and data – resulting in their growth and longevity. Savvy positioning highlights those areas of your programming that might have a highly competitive set. Which can be a good and helpful indicator of redundant programming. And of resources that could be better spent finding collaborative partners and focusing instead on what makes you unique. 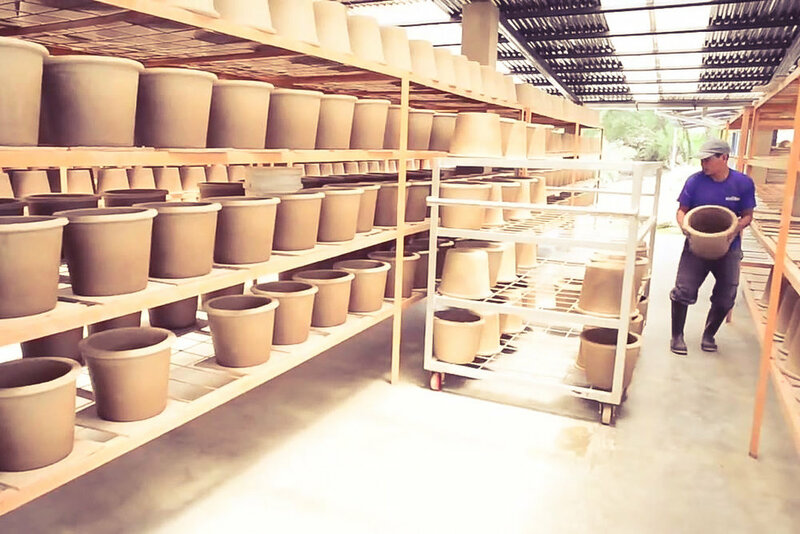 The recently-launched Audacious Project announced their first major investment in a partnership between Living Goods and Last Mile Health. Both organizations have impact models centered around delivering health interventions and healthcare in hard-to-reach locales using community health workers (CHWs). The project's success relies, at least in part, on the overlap of experience in deploying teams of CHWs – Living Goods will supply a Smart Health app and home delivery model, while Last Mile Health’s Community Health Academy will power the worker education. How do you determine your organization’s positioning? Positioning is an art, not a science. And it’s not always easy to bullseye that intersection between internal realities and the external environment. Equal measures of soul-searching, research, intuition, honest evaluation, rigorous analysis, empathy, practical experience, and creativity have to be called upon to really nail it. But of course, there’s always a place to start: understanding your own company, constituents, and competition. And we’ve outlined three exercises that are fundamental to the process. What is your core ideology? Why do you do what you do? What is the ultimate change you wish to see in the world? What are the values you always exercise as you carry out your work? What will you never compromise on? Do you have a Big Hairy Audacious Goal? What’s your 10-year business target? What do you need to hit in three years in order to stay on track to reach your BHAG? Regardless of how your organization gets to these answers, we encourage brevity and clarity of articulation. Distill the answers onto one page, if you can, and disseminate the summary to every single person in the organization. Those heavy, multi-page strategic plans and steering documents can be helpful in sussing out the details – but as an exercise in ensuring internal alignment, they’re barely read and absorbed once the ink dries. And with apologies to the famous thinker who first penned this quote: “I would have developed a succinct strategy, if I but had the time”. Identify your top three target audience groups. Sure, we know you probably have to communicate with more than three key groups of constituents, but as the saying goes “if you try to be everything to everyone, you’re nothing to no one.” So, prioritize. Ask yourself: Who do we most need to reach and engage in order to achieve our goals? Is it funders? Major donors? Young individual contributors? Members of the media? Fellow impact organizations? Once you identify these groups, really get to know them. Talk to them, interview them. Conduct a persona exercise, do some empathy mapping, or just list out those things they care about (and if you don’t know – find out!). Because it almost goes without saying: if you don’t know what people want and need and value, you’ll have no idea how to position yourself to appeal to them. Armed with an honest evaluation of yourself and a keen understanding of your constituents – start to assess your competitors. Make a list of all of them. Then, make a list of value drivers that you and your constituents care about. Score your competition across the spectrum of value drivers, then score your own organization. What will likely emerge are opportunity gaps – those value propositions that your organization can fully claim. You’ll start to identify your uniques that, when combined, should elicit one compelling value proposition and strategic market position. As a fictitious example: if you’re slinging burgers and trying to increase your market share and target your customers, you might perform the following sort of assessment. Assuming you’ve already determined that your target customers care about all of these dimensions, you’d use the chart below to identify “vegetarian options” and “table service” as valuable elements to market. Then possibly even decide to trumpet your burger topping variety and unlimited fries as a way to stand out from the pack! And finally – remember there’s no better way to test your positioning than by taking it out into the big world, learning, and then validating or iterating. Applying a “design thinking” methodology will not only help test your positioning in the light of day, away from the conference room – but this habit will allow you to respond to the ever-changing constituent needs and competitor offerings. Nothing is static, so while you plant a distinct stake in the ground – keep yourself nimble and responsive. Ecofiltro proves that positioning can be an iterative process. They operated as a pure nonprofit for years aiming to distribute water filters to Guatemalans. Then they pivoted into a social enterprise model and they differentiated by product design. Instead of unsightly, function-only filters like most that are plastic, they have a well-designed enamel product. 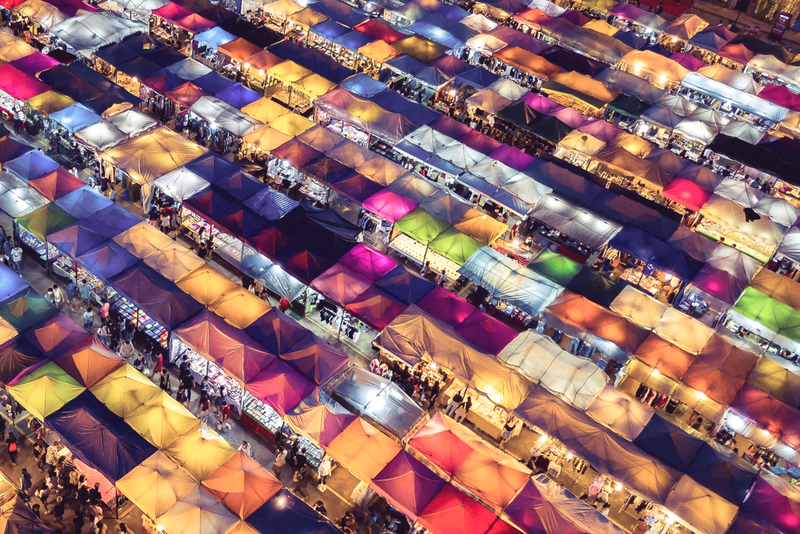 Because of this product-first approach, they've scaled distribution to multiple countries and have a consumer brand that amassed nearly 150k Facebook followers and millions in revenue. What are the hallmark tests of good positioning? First and foremost, you’ve probably nailed your positioning if money is flowing well throughout your organization. If you’re a business, it simply means people buy what you sell. In the social sector, it means you’re appropriately communicating your unique value and that donors, funders, and volunteers are willing to support you. Go ahead and count those in your space that provide similar services – your “competitors,” to borrow a private sector term. If you have too many, your positioning probably isn’t differentiated enough. You’ll have trouble pitching a unique story to funders, powering through the noise to appeal to donors, or garnering attention from thought leaders, peers, and even media. If you have too few competitors, it probably means your value propositions are irrelevant, unneeded, or what you’re doing is so cutting edge that you’re in an entirely different category (that of demand generation and innovation). Regarding that last point, we’ve seen plenty of brands and organizations self-identify as innovators as an excuse for sloppy positioning. With all due respect to your uniqueness and your innovative ideas – this is very likely not where you actually belong. Like your mom always told you, don’t try to be someone you aren’t. It might work for a bit, but ultimately long-term sustainability isn’t supported by opportunistic positioning. No amount of re-inventing yourself will work if you aren’t capitalizing on what’s real and true for your organization. Luckily, developing positioning based upon a core truth or a founding story is where true differentiation magic can happen. Bicycles Against Poverty is an NGO based in Gulu, Uganda. Like many others, their aim is to increase individual empowerment and promote economic participation among a bottom of the pyramid population. Also like many others – they use mobile payments to facilitate micro loans. However, as their name suggests – their focus is clear: a bicycle is a simple yet effective means of improving the standard of living. And it’s resonant. The model is rooted in the founder’s compelling personal story and their chosen positioning is unique. You may believe your organization is uniquely differentiated from others because you do things to a better, more excellent degree. But agency consultant and author David C. Baker puts it best: “More, better” is neither a strategy nor a positioning statement. He continues: "They might very well be true, but they are not uniquely true, and that’s a fundamental challenge of positioning: how to be less interchangeable or how to be uniquely true rather than just true. If you are claiming certain things are unique – the same things that your competition might be claiming – those things are not unique." 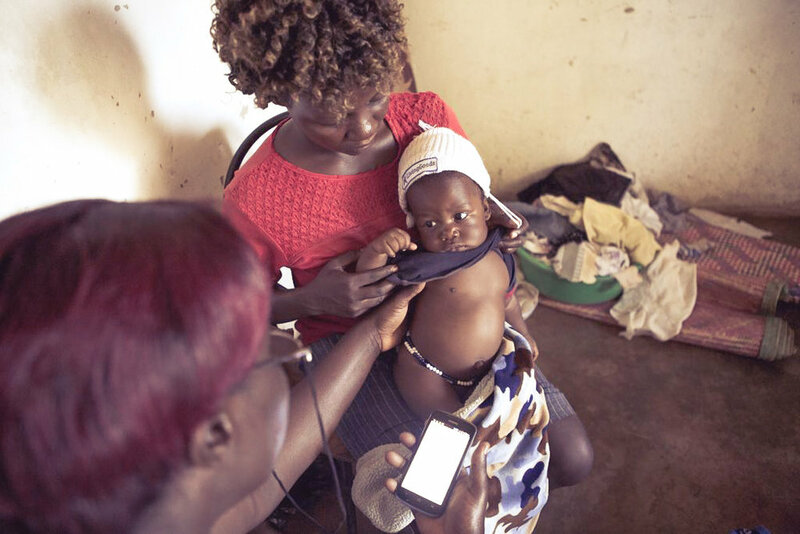 Sure, there are others deploying CHWs to reach rural populations with essential health care, and others developing technical solutions that facilitate mobile banking for the bottom of the pyramid. Many groups dig wells, accelerate budding social entrepreneurs, provide microloans to women. And yes, your programming might be holistic, your program deployment efficient, your immersion complete. You must find your core expertise. One that’s provable. One that’s fundamentally important. On very rare occasion, a process or set of soft skills. A good way to test this further is to challenge yourself and your team to answer this question: “Could we write and publish a five-part blog series (with case studies) on our key expertise for the most significant publication in our industry?” Would you have enough to say? Enough real-life examples to share? Would you be able to stand out from the crowd, and get recognized for thought leadership? If not – then this positioning might yet be aspirational. 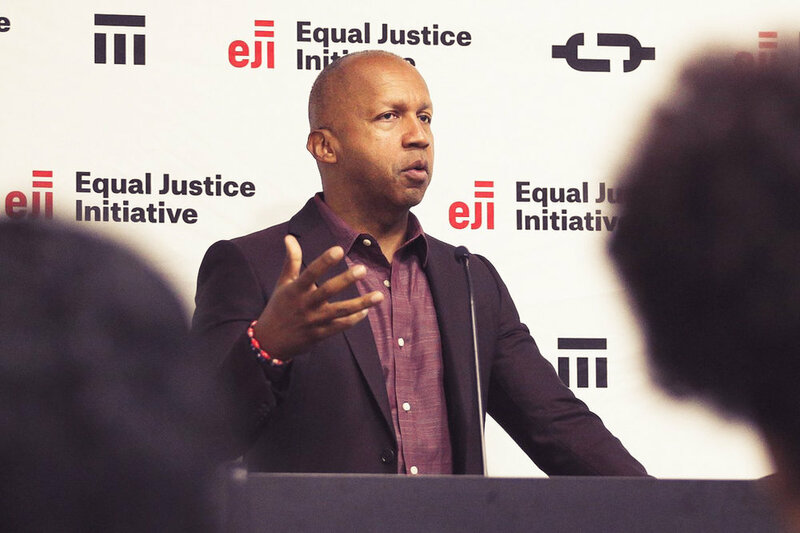 Bryan Stevenson founded the Equal Justice Initiative as a nonprofit committed to ending mass incarceration and excessive punishment in the U.S. And Bryan, while arguing cases in front of the Supreme Court and heading up the organization, is a prolific writer and speaker. He authored the critically acclaimed book Just Mercy, has delivered a TED Talk, and hits the speaking circuit year-round to promote his mission, vision, and the work of the EJI. Needless to say, the positioning of EJI as an organization wouldn’t be as strong without a founder demonstrating such expertise. As a social enterprise, NGO, or nonprofit, you’re in the business of making an impact. But unlike your counterparts in the for-profit space, you must deliver social change along with organizational viability and sustainability. All while executing the programs that seek to address social, political, or environmental issues. It’s because your work is crucial that you must find time to properly promote it. It’s not a diversion. It’s essential. Without strategic positioning, your voice and important message will lose clarity and resonance, drowned out by the cacophony. Without strategic positioning, your most valuable assets – your team – will have their attention mitigated, their priorities dulled. Without strategic positioning, you may miss out on partnerships and collaborations, weakening the very sector you wish to further. And most importantly – without strategic positioning, the very work you do to better your world may not ever be fully realized.